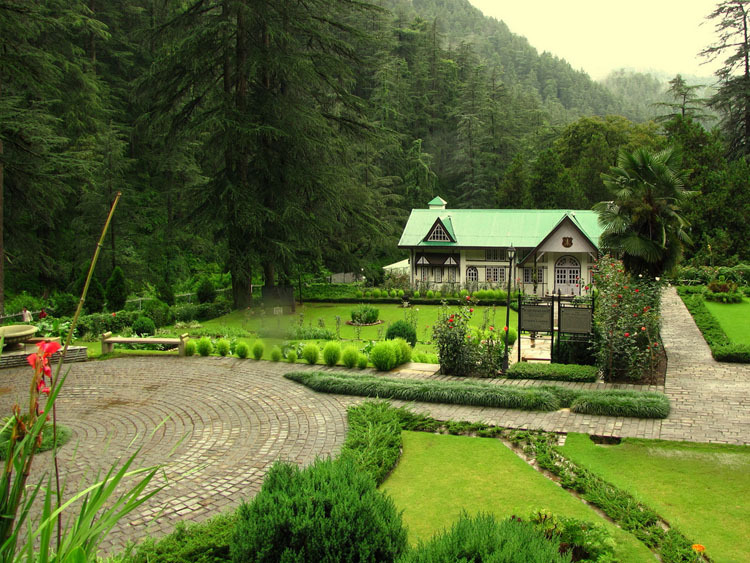 Brief Annandale is a serene location of Shimla replete with mesmerizing vistas, a sporty golf club, an Indian Army Museum, a Cactus museum and a tranquil aura to spellbind you with. Tips A cafe is built within Annandale so you don’t have to worry about food! Brief Opened in 1877, Gaiety Heritage Cultural Complex was a place for amateur theatricals during the British Raj. Extra This complex is visited by thousands of tourists around the year for its architectural, cultural and historical beauty. Extra KLK SML Special takes the most time to reach Shimla, covering a distance of 96 km in 05 hours and 40 mins. Facts Covering a distance of 96 km in 04 hours and 20 mins, Rail Motor is the fastest among all the trains that run along this route. It is available everyday. This train can be boarded from Kalka at 05:00 which reaches 09:20 on the same day. People Love For Place Offers panoramic views of the picturesque Shivalik Hills, as well as the enigmatic Himalayas along the way. Tips To avoid local travel hassle one may chose Shivalk DLX EXP, as it is the only train that runs between Kalka and Shimla without taking any halts. 5 trains run directly between Kalka and Shimla namely, KLK SML Pass, Rail Motor, Shivalk DLX EXP, Kalka Simla EXP and Himalyan Queen. Extra The Green Valley is surrounded by verdant hills on all sides that are covered with thick forests of pine and deodar. Facts The hill is situated at about 5 kilometers from the famed Shimla Ridge, and has to be visited to enjoy its beauty. Tips The hills are chilly and hence wear good cozy clothing which can keep you warm. Extra It is also known for nature parks and picnic spots. It also has a Potato Research Station. It is famous for winter sports. Facts It is famous for it's ski slopes, and panoramic views where deep valleys and forests rise towards the lofty Himalayas. 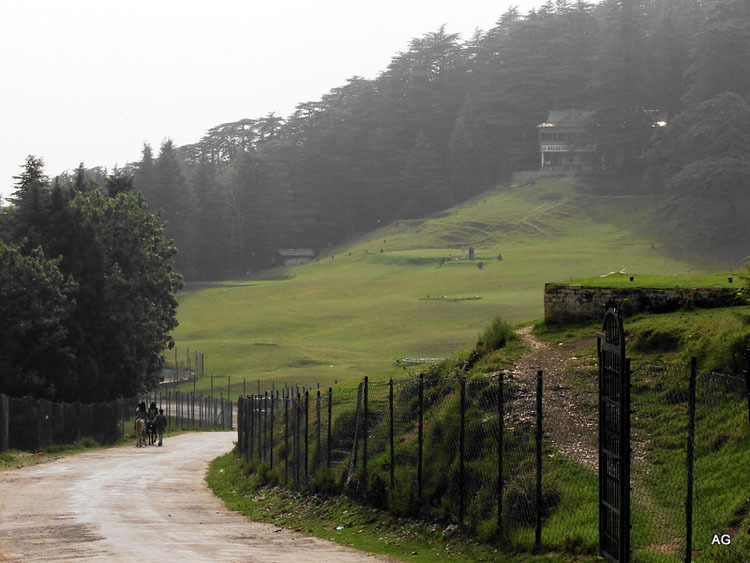 Tips The best time to visit Kufri is in summers, between April and June. Brief Glen is a u shaped valley, located near to Andale and Summer Hill forest amid dense forest of deodar and pine trees. Facts Glen can be easily reached by car, but some people prefer to walk here on feet as it is located only 4 km away from the main mall road. Address "Shaily Peak Naldehra, Himachal Pradesh 171007 093184 49296 https://maps.google.com/?cid=14785181196487384083"
Brief Shaily Peak in Naldehra Hill station, combines splendid greenery with a magical climate, a match made in heaven. Extra The beautiful view from the top of the hill will make the long and challenging trek worth it. 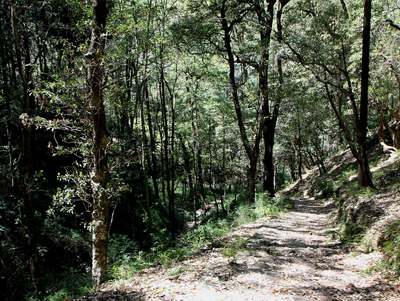 The trek crosses densely covered forests, a beautiful experience in itself. Tips If you are not keen on trekking a rocky trail, you can opt for a pony ride or via a motor able track. Brief The Valley of the Pabbar river is accessed from Theog on the Hindustan Tibet Road and Rohru (131 Km from Shimla) is its main town. 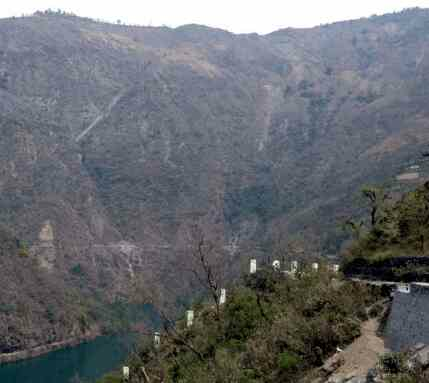 Facts Known after the name of its major river Pabbar with numerous tributary streams, once rich in trout fish, it stretches from the southern boundaries of the legendary land of Kinnaur to the borders of the sacred land of Uttarakhand. Tips There are options for Jeep Safaris and natural walks in the spectacular valley of Pabbar. 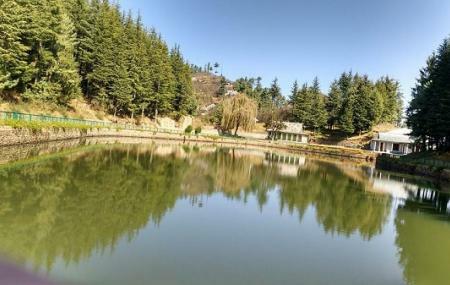 Brief Ani Jubbar Lake is an oval shaped, artificially fed, shallow mass of water located near Narkanda. Extra This virtually stamp-sized mountain lake is surrounded by fringed, cedar forests that make for an idyllic picnic setting. Facts Tani Jubar Lake is also famous for the ‘Nag Devta’ temple, where the locals offer prayers to the serpent god. People Love For Place Beautiful and pristine lake . A good place to sit and relax while enjoying the natural beauty. Tips There are clearing near the lake for travelers to pitch their tents who wish to stay the night camping and star gazing.